Blog - NAVO DESIGN INC.BLOG — NAVO DESIGN INC. Since autumn has "fall"-en upon us, Navo Design Inc. has been super busy on some new projects and we can't wait to show you some sneak peaks in the coming weeks! 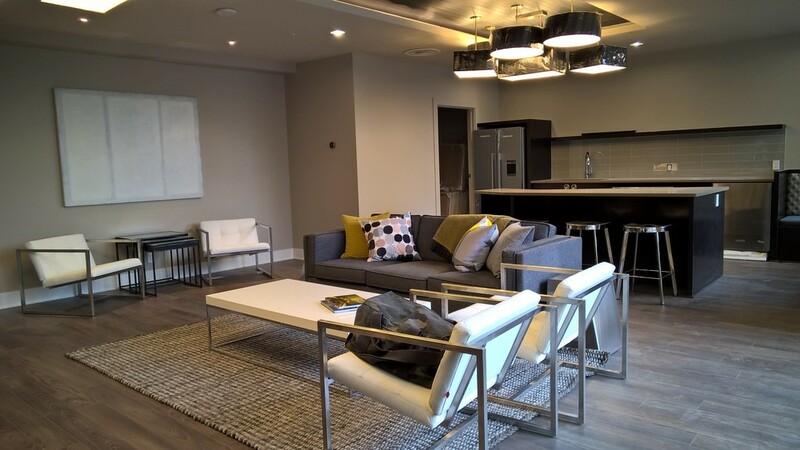 But for now, here's a few behind the scenes shots of our Amenities install at Crossings Phase 1 in Calgary. Another one of our amazing projects with Gablecraft Homes has been getting noticed for it's unique take on life in the Okanagan. GableCraft in the Mission, or K.L.O. as we here at Navo Design like to call it, has brought big city urban living, without the compacted density, to this increasingly desirable neighbourhood of Lower Mission Kelowna. Read all about this development and neighbourhood in this Vancouver Sun article. Enjoy! We know we enjoyed putting it all together! Here at Navo Design Inc., we are fortunate enough to work with some amazing industry partners that understand our vision and allow us to be actively collaborative in the creative and building process of all our mutual projects. GableCraft Homes is one of those amazing partners. Recently the residents of Nanaimo have taken note of our recently completed Summerhill development in the heart of their city. Jessica Barrett of The Vancouver Sun has recognized the growing interest as well and wrote about it in the link below. We are extremely honored for the recognition. The Summerhill development with GableCraft Homes was definitely a fun one to design and collaborate on and we couldn't be more proud of the positive outcome! Fred Albert Houzz Contributor. Fred has written about architecture and design for many Web sites and magazines, including Houzz, Metropolitan Home, House Beautiful and Style 1900. Check out his article below on what's new and great in the world of backsplashes!